My primer on how to roll out cookie dough should be revisited, because it's the holidays and all of us are busy in the kitchen baking up cookies. I can't tell you how many dozens of cookies I've already baked. Although I have in the past rolled out my doughs on a floured surface, I've come to realize that doing it between two pieces of parchment paper really takes the guess work out of this task. I've included a video by cookbook author, Nancy Baggett, which you should watch. It isn't difficult at all to properly roll out cookie doughs for baking. 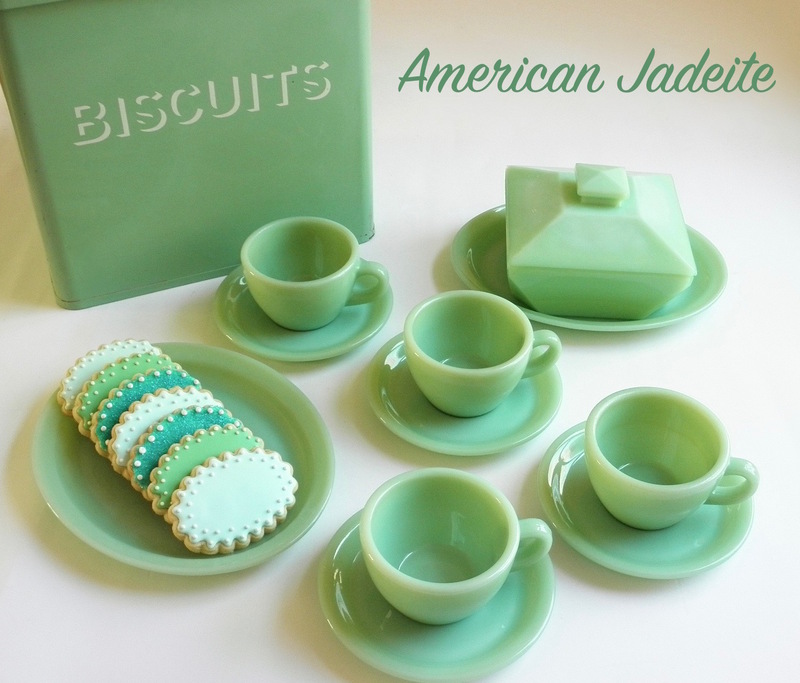 With numerous cookie cutters to choose from, every baker (experienced & beginner alike) ought to make these types of cookies for the holidays and other celebrations throughout the year. The number of cookies I've cut out from rolled doughs for birthdays, baby showers, gift giving and for Christmas probably runs into the thousands if I had to count. Over the years I've used various recipes from several sources that have given me excellent results, but I've also developed a recipe or two which have become my go-to doughs. Some of the best cookie doughs to work with when rolling out are those which are buttery, smooth in texture and not overly sweet, such as shortbread. Sugar cookies, chocolate cookies and spice cookies also make wonderful doughs to roll out. Perhaps the most stubborn dough of all to roll out, however, is gingerbread; this dough needs resting periods to roll out without problems, but it too is great to bake. Professional bakers and cookbook authors (look at my friend Nancy Baggett's technique, she's a true professional!) have their particular ways of rolling out cookie doughs. Some, like Nancy, prefer to roll out doughs between two sheets of parchment paper which requires no additional flour during this step and results in the most tender cookies. Recently, I came across her how-to video which is very informative and well put together. Click on it to watch as she shows us her easy technique. Others stick to the old-fashioned way of flouring a rolling pin and surface to perform the task. Both techniques are correct and both get the job done; it's a good idea to be familiar with each of these techniques. In my kitchen I use a combination of these two methods, but instead of using parchment paper, I roll out the dough with plastic wrap. If you're a beginner baker I truly believe that there is no better way to gain the knowledge and wisdom of good baking than by trying. One should be fearless in the kitchen and not worry so much about making perfection the first time around. After a batch or two under your belt you will begin to see the joys of baking rolled out and cut cookies for your special occasions. 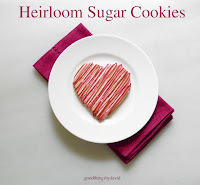 These cookies are wonderful to give as gifts, as favors at a wedding or shower, for decorating Christmas trees and for those cookie exchanges that many seem to participate in this time of year. Let me show you my method because it is simple and the tools required for it are few. Now is the time to start thinking about what types of cookies we're all going to bake for the holidays. If they happen to include the rolled variety (an absolute must! ), let me show you how I do it. Most recipes will tell you to divide your cookie dough in half (some even in thirds). It's a good idea to do this because it makes it easier to maneuver a smaller amount of dough on the kitchen counter than one great big piece. When I divide my doughs I always lay two overlapping pieces of plastic wrap to create a double-width wrap. I place half of my dough onto the double-width wrap and flatten it into a disk; the other half gets treated in the same manner. Rolled cookie doughs benefit from a chilling period to relax gluten and to make it easier to roll out. These types of doughs can be frozen for up to a month provided they are kept in zip-top freezer bags (thaw doughs overnight in the refrigerator still wrapped). Note: some recipes will tell you to shape the dough into a ball and chill it. Don't believe a word of it! A hard ball of dough is difficult to roll out and will crack. Flattening into disk shapes is by far the better choice. A Sturdy Rolling Pin that is heavy is best for rolling out these doughs. They can be made of stainless steel, marble or wood. I use a large 18" ball bearing professional rolling pin made of solid maple. It rolls out doughs with such ease. Metal Spatulas are a must when removing the cut out shapes from your counter or dough surface onto silpat-lined or parchment-lined baking sheets; a small offset metal spatula is perfect for this task. The larger offset metal spatula slides underneath a flat disk of dough if it happens to stick to the surface. A Pastry Brush will gently remove any excess flour from your dough and rolling surface. Make sure you have one exclusively for this purpose; don't use the one you have for marinades or sauces. Flour in a bowl or on a plate to dip the cookie cutters is a must. This makes clean cuts every time and helps release the dough from the cutter. Make sure you can dip the cutter into the bowl, otherwise use a plate. I always remove and work with one disk of dough at a time. The other stays in the refrigerator until I need it. Depending on the temperature of your kitchen (between 65-70 F is an ideal environment to work in) it's best to let the disk of dough sit on the counter for about 10 minutes. You don't want the dough to get too warm or have it come to room temperature, but you also don't want to roll out the dough straight from the refrigerator. The former will make it impossible to roll out with ease because it will be too soft and the latter will make it difficult to do so without any cracks. The dough should still be cool, yet pliable. I lightly sprinkle flour onto my kitchen surface (picture above) and place the unwrapped dough in the middle. to bake the best cookies. Reuse that double-width piece of plastic wrap you chilled your dough in. Place the plastic wrap over the dough and begin rolling it out. Give the dough a few rolls in one direction and then give it a quarter turn. Roll it out again with a few strokes. If at any point during rolling you find that the dough is curling up at the edges (picture above), it is time to release the plastic wrap from the dough and reposition it. You can resume your rolling. This may happen a couple of times during the rolling process. Roll out the dough evenly, not just in one direction, so that you have an even thickness throughout the rolled disk of dough. As you're rolling make sure you can lift and rotate the entire piece of dough. Check the bottom to make sure it isn't sticking to your rolling surface. If it does stick, toss and sprinkle a minimum amount of flour underneath. You'll notice in the picture above that I have maybe half a teaspoon or so underneath the dough so that it doesn't stick. Adding too much flour will only toughen your cookies. Use that large metal offset spatula and slide it gently underneath the dough if you find it sticking at any point. You don't want to tear the cookie dough so do this carefully. If you can lift the dough with your hands and move it around like a piece of pizza dough, you've done well. As you can see the dough doesn't have to be a perfect round. Remove the plastic wrap and begin cutting out shapes. I always begin cutting out my shapes starting at the edge of my dough. I cut every shape as close to each other as possible, working my way toward the center of the dough. This minimizes scraps. Dip the cutter into the bowl (or plate) of flour in between each cut. Make sure to tap off any excess flour from the cutter. Not too much excess dough was left over from the initial cutting, which is exactly how you want your dough to look when you're done. Just about any rolled cookie dough can be rerolled a second time, so don't through these scraps away. Gather up the scraps and shape them into a disk. Use the same piece of plastic wrap and chill the dough for at least 15 minutes before you reroll it a second time. You can now proceed with your second disk of dough. Note: Most cut out cookies should be chilled 15 minutes to 30 minutes before baking in order to retain their shape. If you find that the edges of the cut out cookies have flour leftover from the cookie cutter(s), use that clean pastry brush to wipe it off before baking. It's quite simple don't you think? There are only a handful of things to consider when doing this type of cookie baking and with practice on batch after batch of cookies, these lessons will become second nature. I actually find it quite soothing and relaxing to roll out cookie dough on any given day I happen to have time. As long as I'm organized and have my baking equipment & tools at the ready, I can roll and cut dozens upon dozens of cookies in an afternoon. Once you discover the pleasure of gift giving fun-shaped cookies you'll be reaching for your rolling pin and your favorite cookie cutters year after year. I hope a lot of you bake this season. 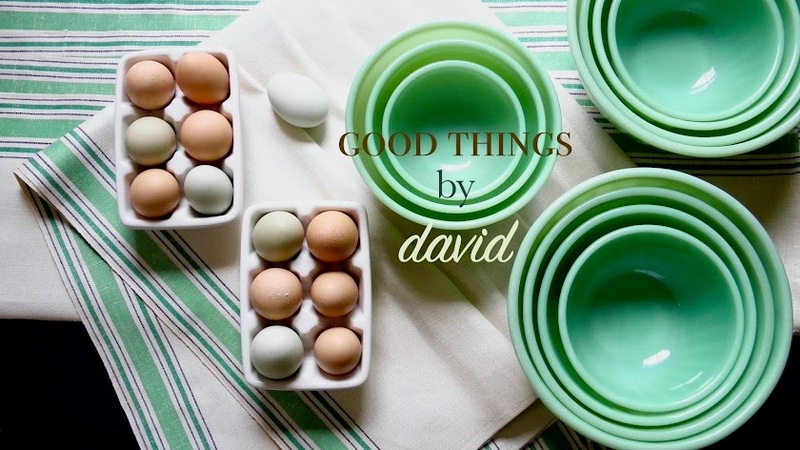 I hope that you are getting to enjoy some of the cookies that you are baking David!